Making our way down to London’s historic tobacco docks and into the November 2018 Taste of London festival was a magical experience. Snow-tipped Christmas trees, twinkling fairy lights and a pianist performing Mariah Carey’s ‘All I want for Christmas is you’ (AKA. the best and only Christmas carol) creating a fantastical atmosphere that had us swept up in a winter wonderland. But we weren’t there just to bask in the festive spirit, we also had the exciting task ahead of us of sampling food from as many stalls as possible, as well as a cocktail masterclass with Ketel One Vodka. Starting in the VIP bar we learned all about one of our favourite foods from Atelier Smoked Salmon. Artisan salmon smokers from Daylesford in the Cotswolds, Atelier served up some of the tastiest slivers of smoked salmon we’ve ever enjoyed, both on its own and served on crackers with crème fraîche and caviar. One thing our lives have been sadly missing in London is DUMPLINGS. Back in Adelaide, we were regulars at all the dumpling joints, from Dumpling King to Dumplings ‘R’ Us, so when we walked past the steaming Dumplings’ Legend x Lan Kwai Fong stand at Taste of London we simply had to stop and grab a bite. A slight step up the gourmet ladder compared to our faves back in Adl, Dumplings’ Legend x Lan Kwai Fong served traditional Cantonese har gow, plump and filled with piping hot shrimp. They were so good, we may even have to make our way up to Chinatown and Camden to visit their individual brick and mortar stores! 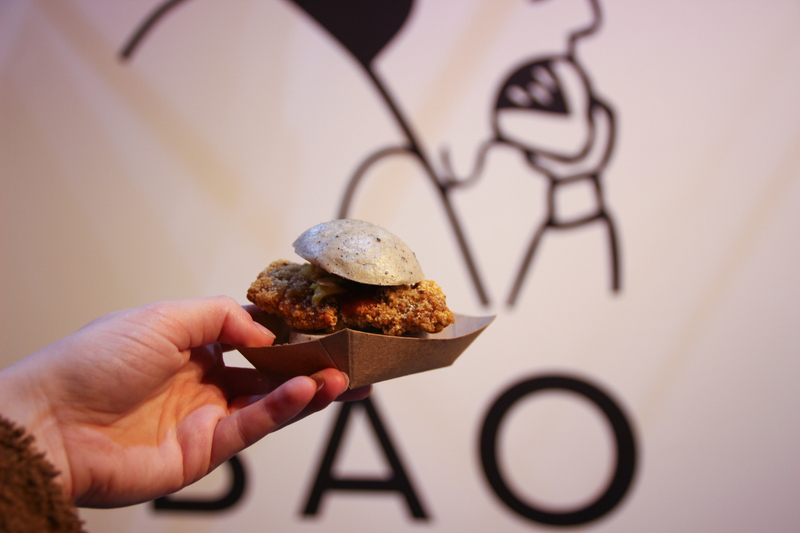 The ever-popular bao bun has been giving a contemporary makeover with BAO, a trendy joint where we devoured a delicious crispy chicken bun. Looking like a little slider, with the bun made from the same dense and sticky dough as a traditional bun, it was filled with a moreish piece of karaage and a tasty sauce. Ready for our masterclass we made our way over to the Ketel One pop-up and settled down at a full-prepared table to shake some tins. With more than a couple of customisable options, we opted for the Ketel One Oranje as our base spirit, combined with fresh-pressed coffee and coffee liqueur. After some heavy shaking, we poured them into takeaway coffee cups and were back on our way navigating through the maze of Taste. Did you even attend a food festival if you didn’t wander around all the cheese, dips and sauce stands and try every single one? Probably not, so we honoured this time-old tradition and tasted every delicious cheese from Snowdonia and fell in love with the pesto and bolognese from The Fresh Sauce Co. Taste of London will be back next June in Regent’s Park, just in time to celebrate the return of the sun with a glass of sparkling and a freshly shucked oyster. To take a peep into what the June edition is like, head to our article here.